A pasty is a filled pastry case, commonly associated with Cornwall in England. 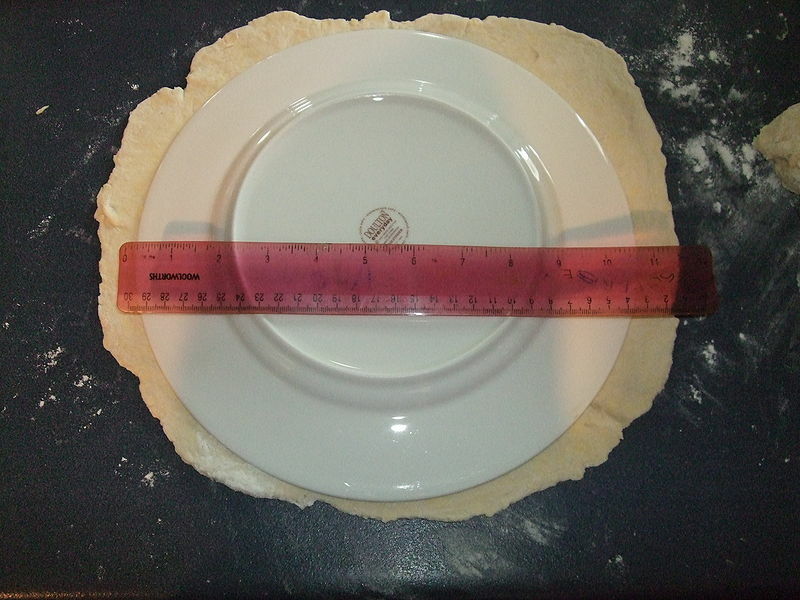 It differs from a pie as it is made by placing the filling on a flat pastry shape, usually a circle, and folding it to wrap the filling, crimping the edge to form a seal. The result is a raised semicircular package. Left: A Cornish Pasty cut in half. The filling is beef steak, potato, turnip and onion. The traditional Cornish pasty is filled with beef, sliced potato, swede (also known as a Swedish turnip) and onion, and baked. Pasties with many different fillings are made; some shops specialise in selling all sorts of pasties. The origins of the pasty are largely unknown, although it is generally accepted that the modern form of the pasty originated in Cornwall. Tradition claims that the pasty was originally made as lunch ('croust' or 'crib' in the Cornish language) for Cornish tin miners who were unable to return to the surface to eat. The story goes that, covered in dirt from head to foot (including some arsenic often found with tin), they could hold the pasty by the folded crust and eat the rest without touching it, discarding the dirty pastry. The pastry they threw away was supposed to appease the knockers, capricious spirits in the mines who might otherwise lead miners into danger. Pasties are still very popular throughout Cornwall, Devon, Wales, North East England, other parts of the United Kingdom, Ireland and Brittany. They are also popular in the northern United States. Pasties are often eaten on the move like other fast foods. While there are no completely standard pasty ingredients, the traditional recipe includes diced or sliced steak, finely sliced onion, and potato. Other common ingredients include swede and sometimes parsley. The use of any carrot in a Cornish pasty is frowned upon by purists, and is rarely found in commercially made pasties in Cornwall. Traditionally skirt steak is used, although sometimes other cuts can be found. Pasties made with ground beef or beef mince are also common and are often sold alongside steak pasties as a cheaper alternative. While meat is a common ingredient in modern pasty recipes, it was a luxury for many 19th century Cornish miners, so traditional pasties usually include many more vegetables than meat. Pasty ingredients are usually seasoned with salt and pepper, depending on individual taste. Today pasty contents vary, especially outside Cornwall. Common fillings include beef steak and stilton, chicken and ham, cheese and vegetable and even turkey and stuffing. Other speciality pasties include breakfast and vegetarian pasties. Pasty crust recipes also vary, but traditional recipes call for a tough (not flaky) crust, which could withstand being held and bumped in the Cornish tin mines. 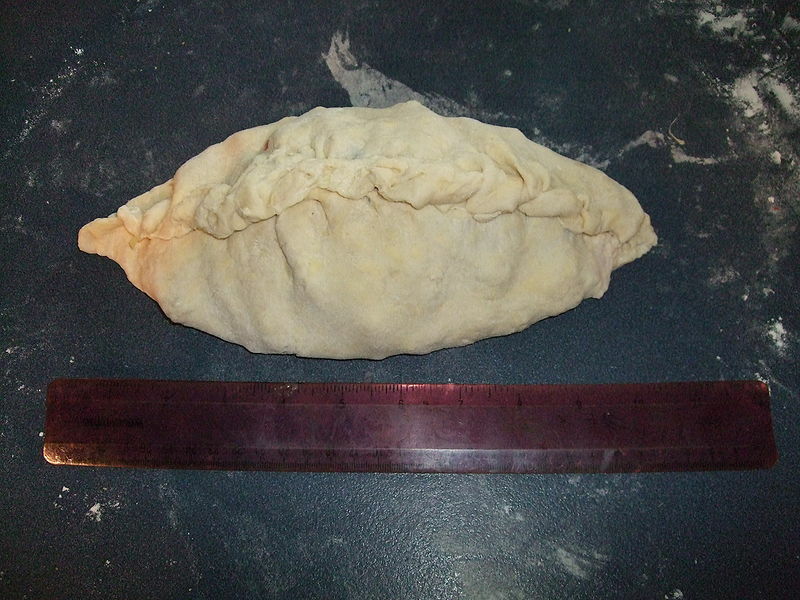 Modern pasties almost always use a short (or pastry) crust. 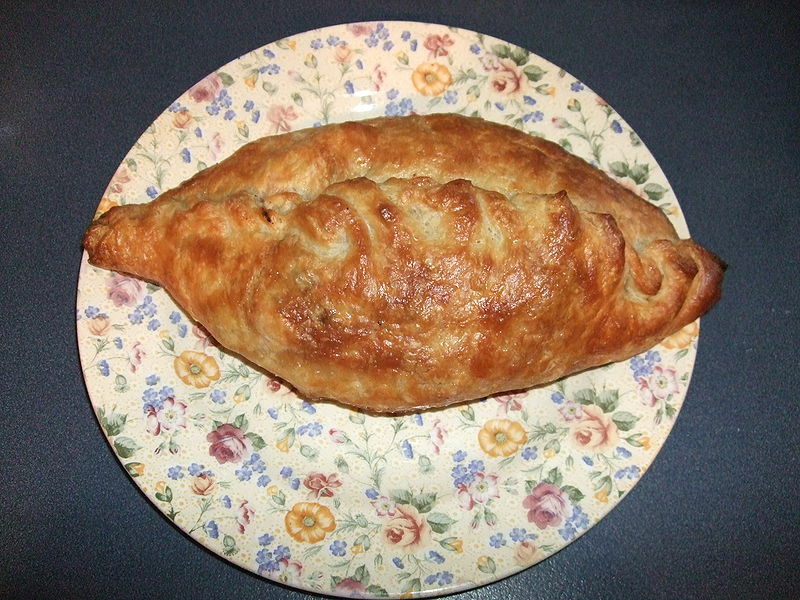 Pork and apple pasties are readily available in shops throughout Cornwall, with the ingredients including an apple flavoured sauce, mixed together throughout the pasty, as well as sweet pasties with ingredients such as apple and fig or chocolate and banana, which are common in some areas of Cornwall. 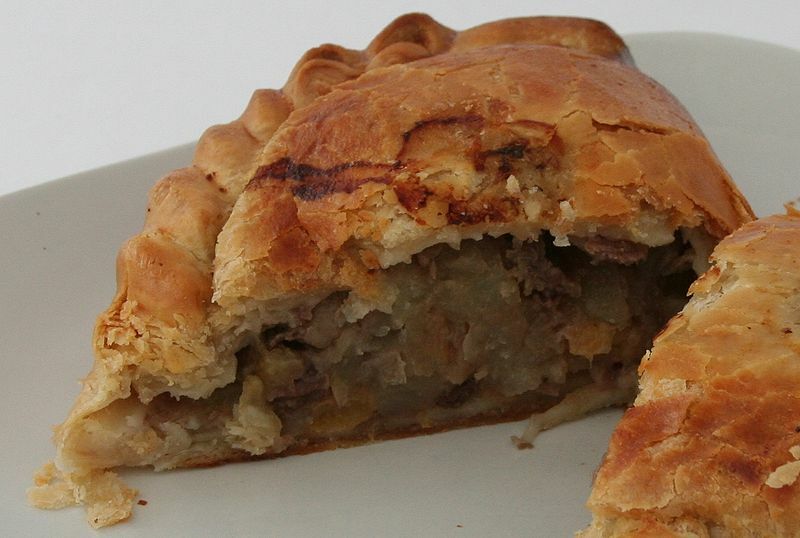 Pasties were traditionally eaten as a complete meal (accounting for the large size of the traditional pasty) with the vegetable and meat juices acting as a form of gravy. Nowadays, pasties are sometimes served with chips and/or gravy or ketchup as a dressing. 6. Place on a baking tray, brush with beaten egg and bake in the middle of the oven for 45-60 minutes.